Soil is the natural medium for plants to grow in. It provides moisture, nutrients and a mechanical foothold. Soil comes into existence in close interaction with living plants and a variety of microbes and insects. Since Mars does not host life, the existence of natural soil is not possible. Soil may play an important part in an autonomous colony for food production. A Martian colony may start with a greenhouse based upon hydroponics, which allows intensive food production right from the beginning. But there are a few advantages in having a small garden with soil, too. It can serve as an experimental place for breeding food plants that are not suitable for hydroponics. Later, when bigger greenhouses are built, the garden can be extended to provide a valuable part in the food production. Also, it might be safer to have an alternative production method, as an epidemic plant disease is more likely to occur in a hydroponic monoculture than in a mixed natural plantation. It provides some pleasure and has some psychological value. The settlers may want to have a piece of nature for recreation. Although this is terrestrial thinking, the Martian settlers will remain humans after all. It allows other (i.e. more natural) types for water and air recycling, which may require less effort for maintenance. However, this must be a rather big garden to fulfill such tasks. A sterile habitat may have a devastating effect on the immune system of the settlers and their children. Our physiology was forged in a dirty environment, and there are already theories about the growing number of immune mediated diseases in the industrial countries, claiming that the urban living conditions with the low numbers of natural germs put the immune system out of balance. 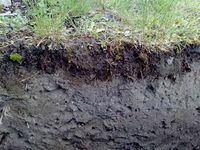 Natural soil contains mineral parts, such as sand and clay. Additionally, it contains a variable part of organic matter, such as decomposed pieces of plants and humus. The third part is a complex population of microbes and insects, living in numerous small spaces between the grains and making soil a living system. The living part of the soil is in a constant process of renewal and evolution. It needs energy to carry out the metabolism in every single organism. Many microbes and insects are living in symbiosis with each other and with the plants, growing in the soil. Yet, the complexity is not fully understood. Soil can, therefore, not be preserved for large periods of time. Soil can not be made artificially, but a kind of pre-soil can be made to speed up the development of real soil. In botanical nurseries the pre-soil is a mixture of sand, clay and shredded organic waste. It does not contain substantial living parts, such as microbes and insects. The addition of compost and fertilizer would be a great enhancement. After placing the pre-soil in an environment with living plants and natural soil the pre-soil is transformed to natural soil by immigration of microbes, insects and plant roots. The pre-soil provides a good structure and nutrients for those immigrants. In a young Martian colony there is a lack of organic waste, making it hard to make a good pre-soil mixture. None or very little organic matter can be added to the mineral part. Under these conditions the production of soil takes a long period of time. Pioneer plants can help to accelerate the process. How long can soil be held alive in a dark container (e.g. for transportation)? What temperature range is required to keep soil alive? What species (microbes and insects) are necessary for a functioning symbiosis with plants? 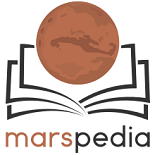 How long does it take to develop soil from pre-soil (under Martian conditions with regolith as the mineral part)? An experiment should be carried out. This page was last edited on 17 December 2018, at 13:48.